The Middle School girls’ volleyball team defeated Holy Trinity on Friday in a gym full of screaming fans. Karlie Redfern was dialed-in with numerous aces, kills, and solid defense. Alex Holloway played aggressive defense with a textbook block that could be heard for miles. Kendall Applegate helped build the lead on serves, despite being under the weather. The varsity football team defeated Hickory Grove 24-13 on Saturday at Homecoming. The Cougar defense played big all day, forcing five turnovers. Blake Brewer put up the first points with a field goal in the first quarter. In the second quarter, freshman Sam Oddo delivered a hit on the Hickory Grove running back, forcing the ball into the hands of John-Morgan Wilson, who returned the fumble forty yards. Three plays later, quarterback Myles Grier scrambled three yards into the end zone bringing the score to 10-0. Sophomore Joe Szilagyi intercepted a pass on the Lions’ thirty yard line, followed by a touchdown by senior Myles Martino, extending the Cougar lead to 17-0. Late in the half, the Cougar defense once again forced a Lion fumble, recovered by sophomore Dre Reid, setting up a seventeen yard touchdown pass from Grier to Tre’ Anderson-Davis extending the Cougar lead to 24-0. Despite the Lions’ score in the third quarter, sophomore Kent Andrews put an end to a Hickory Grove drive with an end zone interception. Wilson also intercepted a pass with 1:30 left in the game, returning it to the Lions’ forty yard line. The Cougars are at home next Friday night against Forsyth Country Day. The boys’ varsity soccer team played host to the Charlotte Christian Knights on Senior Night and prevailed 3-1. In the second half, sophomore Ben Campbell found a streaking senior Jeffrey Schachner, whose neatly squared ball had sophomore Chris Gaskin finishing well with his left foot for his first goal of the season. Four minutes later, senior Bradley Barnhart found junior Nik Stylianou, who found Schachner again for a 2-0 lead. After an unstoppable long- range effort from the Knights, the Cougars put the game away when junior Charlie Powell turned and found Schachner behind the defense, and Stylianou in front of goal for a one-touch finish and the 3-1 final score. The junior varsity girls’ tennis team defeated High Point Christian 9-0. All eleven girls contributed to the victory. The highlight of the victory was the kind words spoken by High Point Christian parents about the sportsmanship displayed by our young ladies. The varsity girls’ tennis team traveled to Charlotte Christian on Thursday for a rematch. The girls started off strong with wins on all three doubles courts within thirty minutes. Katie Parenica started the girls off in singles with a two-set victory. 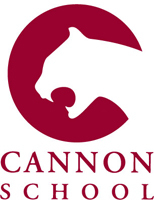 The girls played strong and never let their guards down, giving Cannon a 9-0 victory without giving up a set in any of the singles matches or more than four games in three doubles matches. The Middle School soccer team cruised to a 5-0 win versus Charlotte Christian on Monday. Adam Kurtz got the scoring started with a corner kick that sailed into the back corner. James Boyd scored on an excellent feed from attacking midfielder Alex Coale. Coale would tally next with an excellent display of ball control. Grayson Thompson scored midway through the second half after a great effort and shot to the far post. Nick Parenica was then able to put the ball past an outstretched Charlotte Christian keeper.